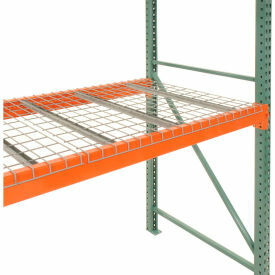 Structural C channel pallet rack beams support up to 8,750 lbs. per pair. Beams bolt to upright frames with two heavy-duty bolts to secure connection and help prevent accidental dislodging due to forklift impact. 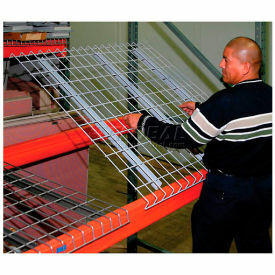 The steel channel storage rack beams adjust at 2 increments on the upright frame. Beam braces attach to beams with two 1/2 bolts per connection for extra strength. Gray enamel. 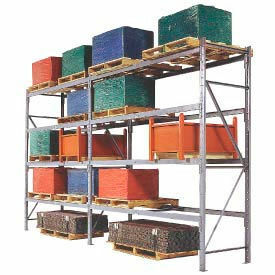 Meets AISC and RMI standards. Sold in pairs (*Price is per pair).